9 a.m.-4 p.m. FREE Admission! 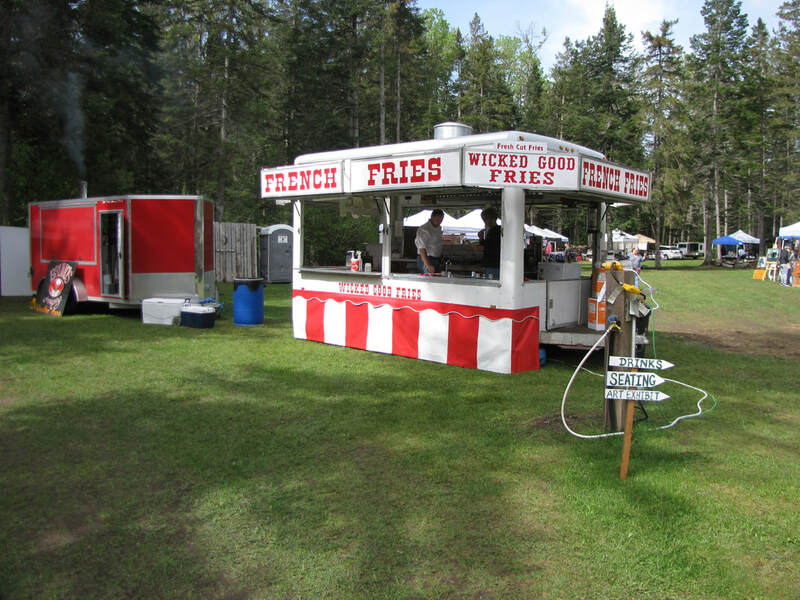 Visit the North Country on Memorial Day weekend to enjoy this fantastic festival! High quality arts & crafts vendors featuring handmade products, food vendors and live music performances! This year's music theme is "Springtime Songbirds", featuring local female musicians. The location is absolutely breath-taking, including a waterfall, ponds, and manicured lawns and gardens in a private setting. Fun for the whole family! Family bonds are strong in this local trio, featuring the sweet vocals of Fran Bigney and her niece, Mindy Rosenberg, accompanied by acoustic guitarist, Mario Marquis (Mindy's father). They'll be playing acoustic covers of light rock songs. Don't miss the morning music! Enjoy the fun and original sounds of this spunky band while you get your lunch at the festival! Squeekee Bee and the Side Effects is a local band that plays blues, delta blues, and classic rock with a smattering of obscure songs from their youth. After years of playing together they have decided to get out of the garage and into the limelight. Members of the band are B-MO lead guitar, Kaptain Keddy on drums, and Squeekee Bee on rhythm guitar/vocals. These three have formed a very interesting friendship that revolves around music and corny jokes. This band based in Bath, NH has been playing a unique blend of traditional and modern styles of music in the New England area for over 30 years! Their music includes an eclectic mix of originals, progressive bluegrass, Deadgrass, swing and blues. For this appearance, the band will feature Susan Picknell and Cassandra English along with the rest of the band. Get ready for some fun! 2017 RECAP: We had a great turnout of over 700 people over two days on Memorial Day Weekend in 2017, which we were thrilled with for our first year! 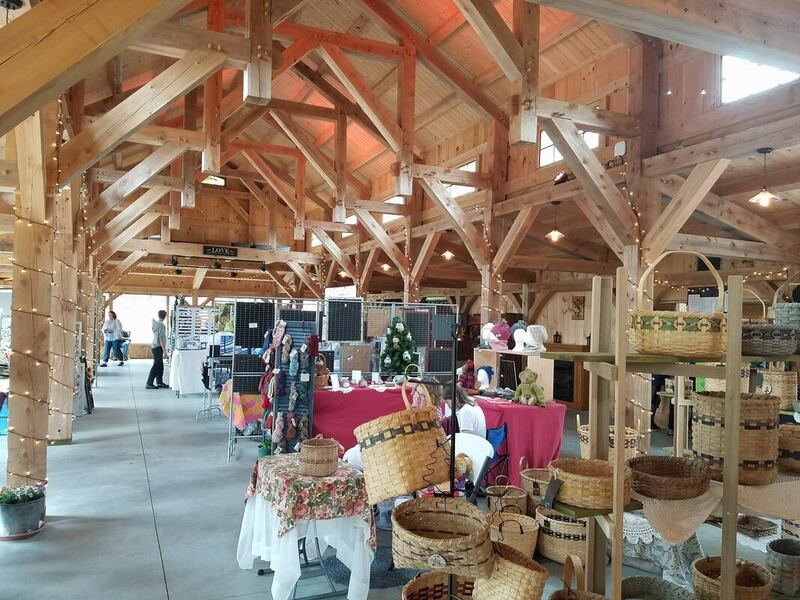 The weather was super and people enjoyed their time checking out over 40 artisan vendors selling all types of handcrafted and homemade products, along with demonstrations of their craft. Food vendors sold breakfast sandwiches made with farm fresh eggs, homemade donuts, wood-fired pizza, local organic salads, hand cut French fries, kettle corn, beverages, snacks & more! Eight live music performances took place throughout the weekend in a most beautiful setting, as well as three arts & crafts workshops. An art exhibit was held in our brand new 40 x 80 foot post and beam pavilion on the shores of our crystal clear pond. All in all, a great first year! This year we decided to hold the festival for one day only, Saturday, May 26, 2018 on Memorial Day Weekend, which drew over 400 adult attendees as well as many children. Despite rainy weather, the afternoon skies cleared and everyone had a great time! Music was excellent, featuring live blues entertainment on the gazebo by Nathan Michaud, Jacob Green and The Roy-Hudson Acoustic Duo with WhiteWolf. Food vendors served up wood-fired pizza, barbecued meats, homemade fries, Italian ice, muffins and more. 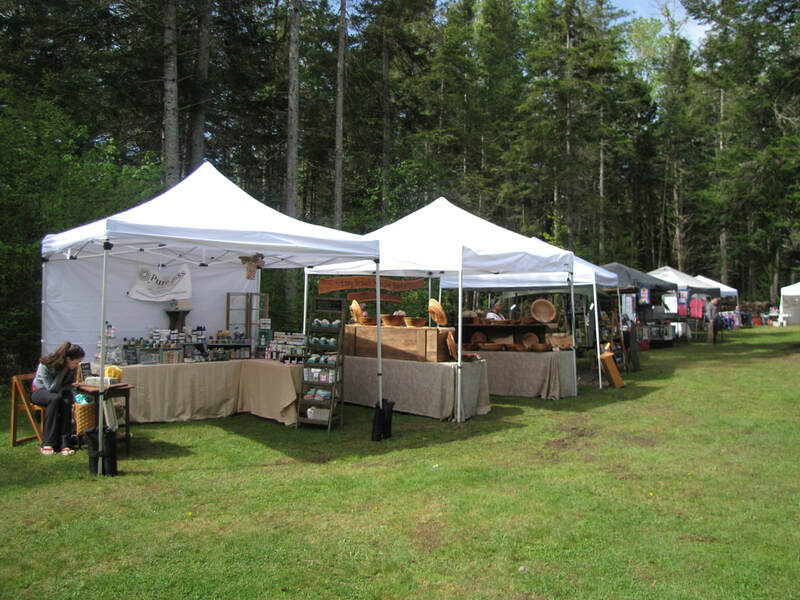 Over 40 vendors showcased their arts, crafts and locally produced foods for sale. Get ready for the 3rd annual festival this year! Please do not bring any pets, for liability reasons. Please do not bring in any outside food or drinks, as they will be available at the festival. Please dispose of trash & recycling in the receptacles provided. If you are bringing small children, please attend to them at all times as we have several waterways on the property (ponds, river, waterfall, creek, etc.). Lastly, it is a rain or shine event, so come prepared for New England weather! NOTE: Parking is available on site. Questions? Contact Britni Haley, Mohawk Falls Event Coordinator, at 603-237-1898 or events@mohawkfalls.com.